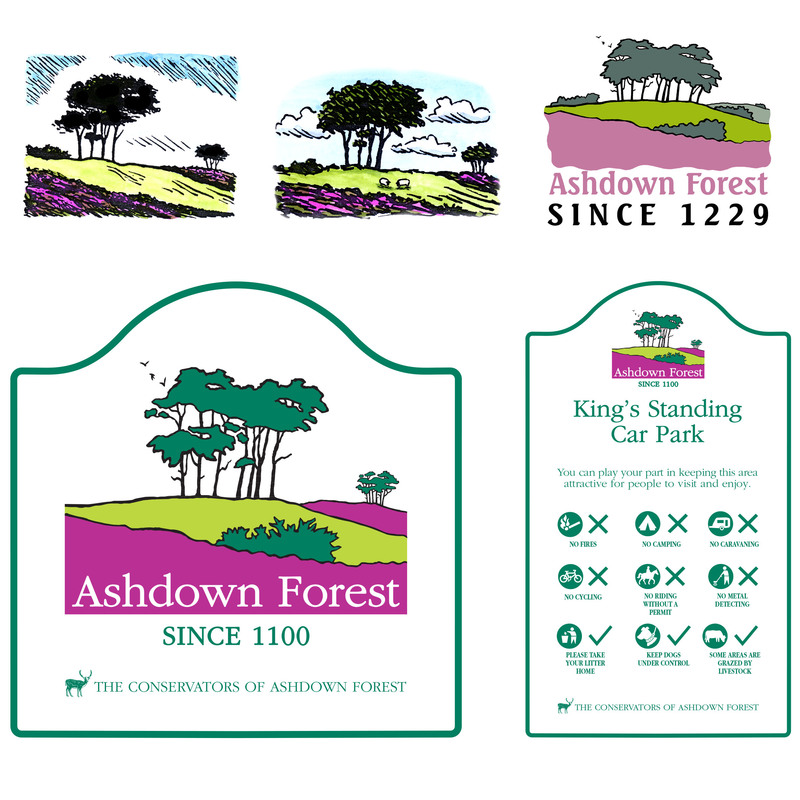 The Conservators of Ashdown Forest were looking for a Logo to capture the essence of this special place. The special landscape quality of the Ashdown Forest is quite difficult to capture in one small image but if you have been there, we think you’ll agree, we have done a pretty good job. We also provided a few options. The designs were proposed to work well on signage and literature, at all sizes and in monochrome if necessary. The ‘pinky mauve’ colour of the heather however, is a very distinctive feature at certain times of the year. Unfortunately, the job did not progress further at the time due to lack of funding but perhaps the ideas will be taken up in the future.